Analyzing “The Necklace” by Guy de Maupassant through ethical criticism demonstrates the irony and theme of the short story. Throughout the narrative, Madam Mathilde Loisel seems to be unceasingly faced with ethical dilemmas. Yet, she continues to make decisions that are less than honorable, which ultimately leads to her next dilemma. Mathilde Loisel is very vain and materialistically insatiable. She feels that she was mistakenly placed in poverty when she is supposed to reside and accompany those of wealth and riches. Nothing pleases her more than the thought of being desired by her peers. This need for acceptance and envy drives her decisions throughout the story. Each predicament builds on the chain of events and, as a result, adds emphasis to the ironic conclusion of the story. Madam Loisel’s marriage is one of the first ethical issues of her character to consider. Her husband provides for her and ensures she has everything she needs. However, she feels that everything she possesses “another woman of her rank would never even have been conscious, tortured her and made her angry” (65). In another attempt to please her, Mr. Loisel brings home an invitation to a ball that only the important and elite are invited to attend. To his dismay, this infuriates Mathilde. Sadly, she is more focused what others will think of her appearance than her husband’s kind gesture. In order to suffice his wife, Mr. Loisel gives her the money he was saving to buy himself a gun so she can purchase herself a nice dress for the event. Her limitless expectations of her husband foreshadow her ethical perspective throughout the majority of the story. Even after her husband gives her the money to buy a dress, Madam Loisel is still unsatisfied. She feels that she will still look impoverished without jewelry to accentuate the attire. Since her husband has already given her all the extra money he has, he recommends her asking her friend, Madam Forestier, if she can borrow some jewelry. Once again, we see Mathilde’s greedy and materialistic personality show in the process. She continues to ask her friend, “Haven’t you any more?” (67) She is not satisfied until she runs across the most gaudy and extravagant piece of jewelry and decides that it is the one she wants to borrow. As the night of the ball ends, Mathilde realizes she has lost Madam Forestier’s necklace. After searching hours for the necklace, Madam Loisel decides not to tell her friend but just to replace it instead. Her decision to be deceitful, yet again, demonstrates her unethical nature. Mathilde searches high and low for a jewelry store that has a necklace identical to the one she lost. To her disappointment, it is more than what she and her husband own, so they must take out multiple loans to purchase the necklace. This results in Madam Loisel giving up many of their luxuries, such as their servants and nice home. In order to pay off the debt, her husband works late hours and “she came to know what heavy housework meant and the odious cares of the kitchen” and learns to dress “like a woman of the people” (69). It takes the couple ten years to pay off the debt they incurred to replace the necklace. Over the years, she has “become the woman of impoverished households- strong and hard and rough” (69). At this point, Madam Loisel has become more humble as her hard work has aged her and her appearance has deteriorated. Not only has she changed physically but her morals have seemed to change some as well. Mathilde now understands the meaning of heavy labor and the value of money. After many years, she sees her old friend, Madam Forestier, when she is taking a walk. Whether it is an honest attempt of her newfound ethical character or for the self-interest of a clean conscience, Madam Loisel decides to approach Madam Forestier and tell her the truth about the necklace. After her admittance, Mathilde is shocked to learn that the necklace she lost was fake and worth far less than the one she replaced it with. Madam Mathilde Loisel learns that sometimes doing what is right is not easy, but it will be worth it in the end. 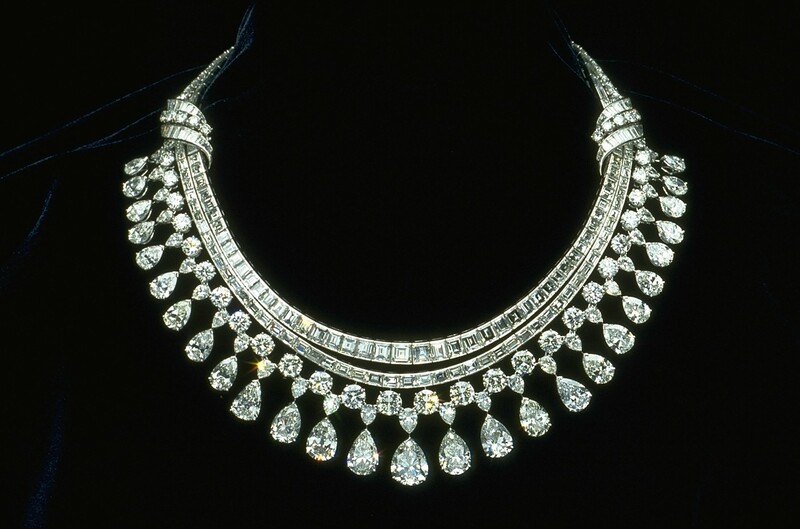 “The Necklace” has many characteristics for a good short story. The characters, plot, and use of irony accentuates the theme of the story. However, while looking at the story from an ethical perspective, the reader can see the characters’ moral transition, in particularly with Madam Loisel.